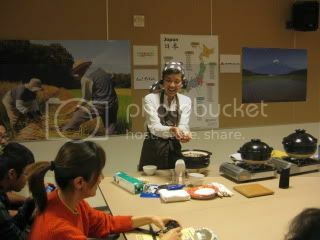 HAPPY DONABE LIFE - Mrs. Donabe's Rustic Japanese Kitchen: Donabe Onigiri Workshop for Family! 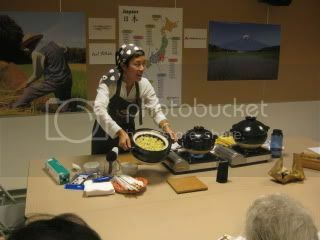 Yesterday, as part of Common Grains project, I was asked to host an Onigiri (Japanese rice ball) making Workshop at Japanese American National Museum in Little Tokyo. The event was for parents and kids. 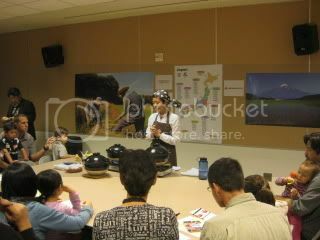 It was my first time to do a cooking class for children, so I was super excited and also a little bit nervous. My lovely sous-chef, Jason, came to assist me in the event. 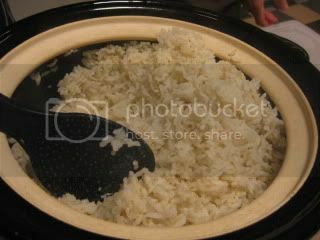 I showed them how to make the premium quality brown rice for onigiri with donabe rice cooker, "Kamado-san", then showed them how to make two kinds of onigiri. The first kind was Azuki (red bean) and satsuma-imo (sweet potato) onigiri, and the next one was classic triangle-shape onigiri with grilled salmon filling. 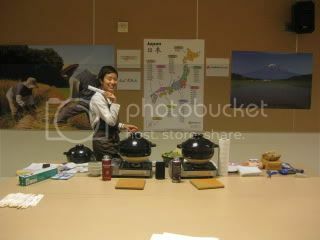 Here are the pictures of the class (plus azuki & satsuma-imo rice pictures are from the other day). Everybody seemed to be having a lot of fun making his/her own onigiri! 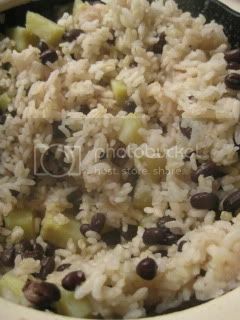 With onigiri, we also served edamame and tamago-yaki (rolled omelette with my homemade shio-koji), and we all said "Itadakimasu" together. It was SO MUCH FUN. And, the best of the best part of the workshop was that all the kids enjoyed making and eating their own onigiri so much...no one left anything!! We even received comments from parents that their kid had been so picky and normally never finished his food, but he loved today's onigiri and he couldn't get enough of it. That made me so happy. 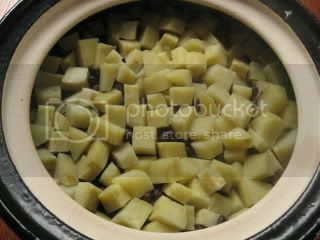 Well, I think today's workshop proved kids' palates are so pure that they immediately pick up how high quality the donabe rice tastes. I just loved to see their happy faces with onigiri. I want to do this again!